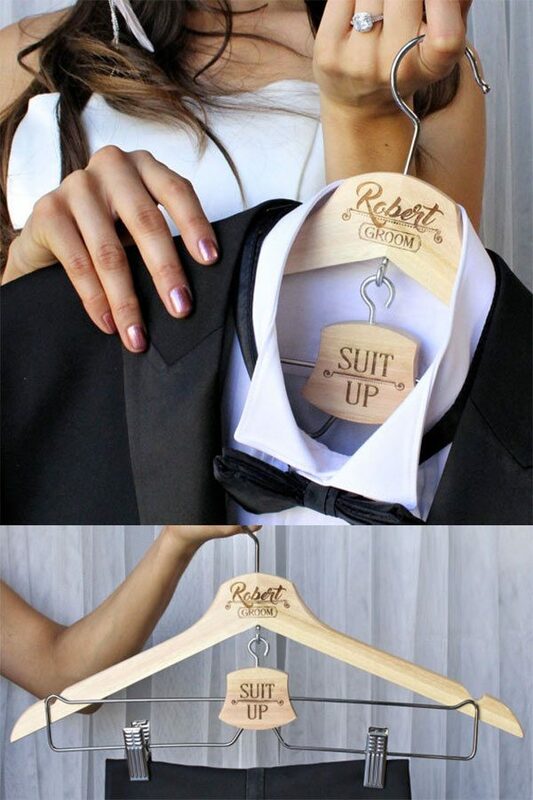 We think about wedding hangers for the ladies, but what about the guys? Suits and tuxes need special hanging, too! These hangers are great as groomsmen gifts.